Every homeowner knows that mowing is essential in maintaining a manicured lawn. What most homeowners do not understand is when and how often to cut their grass. The rule of thumb is never to let your grass get too tall and never mow when the grass is wet. Allowing your grass to grow for too long without mowing can cause stress and encourage disease in your lawn. Not to mention if mowed when wet your garden will end up uneven or damaged. If you miss mowing your grass and it gets too tall, it is better to bag or mulch your lawn so that you do not get a buildup of thatch. The type of Grass that you have determines how often you should mow your lawn. If you have Cool-Season Grass, the best practice is to cut your grass to a height of 2 to 2.5 inches. If you have Warm-Season Grass, the best practice is to reduce your grass to a height of 1 to 1.5 inches. Once your grass reaches 1 to 2 inches taller than the optimal height for your type of grass, it’s time to mow your lawn. No one wants a yard full of weeds. When you look at your yard and see a beautifully manicured lawn, a feeling of accomplishment and pride is the feeling that most homeowners have. To make sure that you get a jump start on weed control, your yard should be treated in the early spring for weeds like crabgrass. Crabgrass starts to germinate when the temperature of your soil has been 55 degrees or warmer for a 7 to 10-day period. Crabgrass requires open space to germinate, so it is important that you look for areas in your lawn that are bare to apply crabgrass control agents. We recommended applying a second application 4 to 6 weeks later. This helps to ensure that any late germination of crabgrass or warm-season annual grass weeds is controlled. Because crabgrass control agents also kill grass seed, you should never apply this type of agent until your seeded lawn has started to grow and has been mowed at least once. 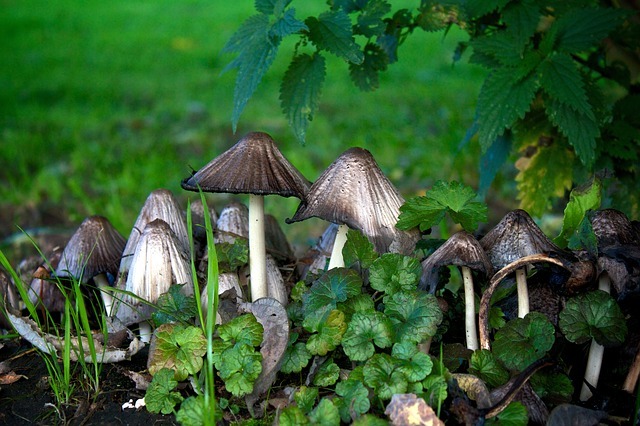 Is your yard spotty with bare patches? 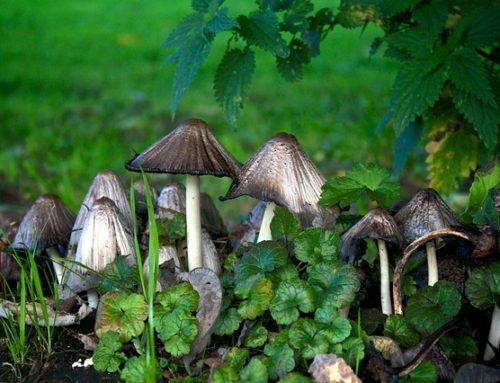 It’s time to take control of your yard’s health and appearance. To control any bare spots in your lawn you need to seed your turf to fill in any bare spots. The best time to seed for cold-season grass is the first of April, whereas mid to late April is recommend for warm-season grass. The longer you wait, the more potential there is for the seed not to germinate and take hold. If seeding is not your preference, sodding is another option. Sodding can be done anytime the ground is not frozen. If you sod your yard, make sure that you cut sod to fit the area snuggly. Regardless of whether you decide to seed or sod, the ground must be prepped to give you a better chance of success. Make sure you to work the soil in your yard up to a 6 to 8-inch depth. Add 4 to 6 inches of compost to enrich the soil and feed your new lawn. Feed your lawn to promote shoot growth and to ‘Green up.’ Be careful when you fertilize your lawn and make sure that you do not fertilize too early. Fertilizing too soon can be unhealthy for your lawn. 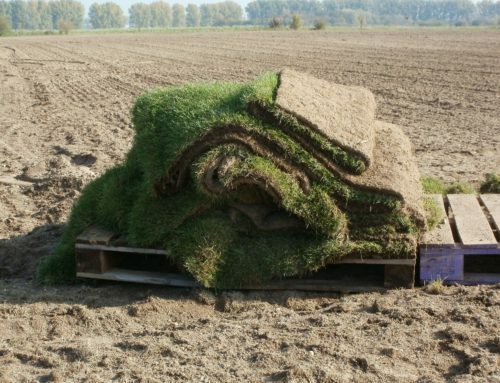 Because Grass needs to gain root growth in the early spring to be healthy, wait until the1st of May to Mid-May, depending on the type of grass you have, to fertilize. If you must fertilize earlier, cut the amount of fertilizer you use by 75%. This will still help your yard to green up, but it will also ensure that you do not overstimulate shoot growth. Dethatching your lawn is the removal of dead and living shoots, stems and roots. A high level of thatch is a sign that your lawn has some issues that need to be addressed. The possible issues are too much water, fertilizer, chemicals or poor mowing habits. We recommend that you dethatch your lawn twice a year, in April and September, using a de-thatcher, power rake or vertical mower. If your lawn has too much thatch, more than 1 inch, your yard can become stressed or diseased. It’s important to note that you should never remove more than ½ inch of thatch for the best results of a healthy lawn. If you plan on aerating your lawn, do it after dethatching. Promote root growth in your lawn by aerating. Aeration is a step that a lot of homeowners skip. Aeration loosens the soil and increases air content. This promotes root growth, which means better shoot growth. Aeration. Ideally, you want your soil to contain 50% spaces. Half of those spaces, soil structure, should be air. A core aerator will pull plugs of soil from the ground that are 1 to 2 inches. The holes created will be every 3 to 4 inches on your lawn. Plugs kick up to the surface and break up when you mow your lawn. The holes fill up with soil that is broken up. Mowing: Cold season turf such as fescues and Kentucky bluegrass, when the grass reaches 3 to 4 inches, mow to a 2 to 2 ½ inch height. Weed Control: Apply first application the first week in April and the second application in the middle of May. Seeding: Seeding should be done before the middle of April. 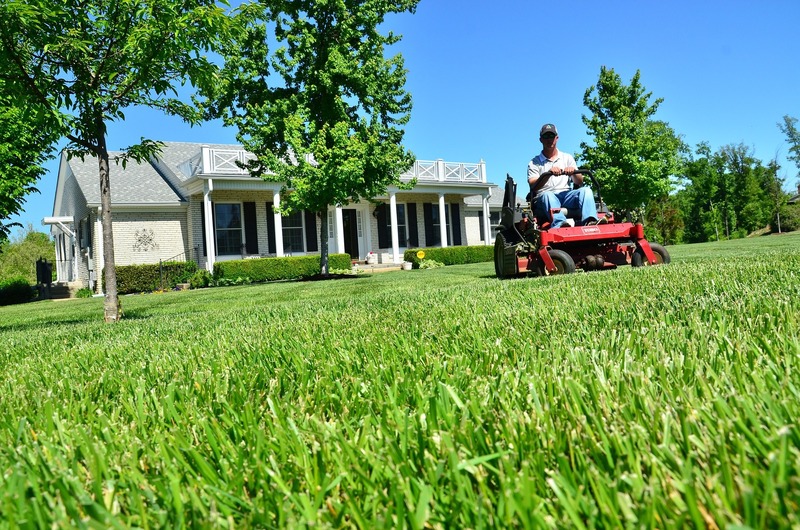 Fertilizing: Fertilize your lawn in the middle of May. Dethatching: Dethatching your lawn around April 1st and then again around the 1st of September. Aerating: Aeration should be done around 1st of September each year. If your soil is heavily compacted or is a clay base, consider aerating around April 1st additionally. Mowing: Warm season turf such as St. Augustine, Bermuda, Centipede and Zoysia and Bermuda, mow to a 1 to 3-inch height. Never remove more than one-third of the total length of the blade in a single cutting. Fertilizing: Fertilize your lawn May 1st and then again July 1st. Dethatching: Dethatch your lawn in early May and followed up with fertilizer. 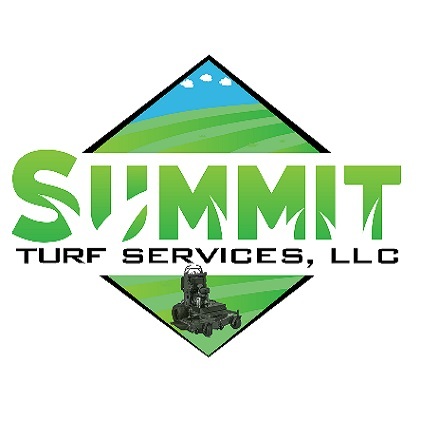 At Summit Turf Services, we care about our customers. 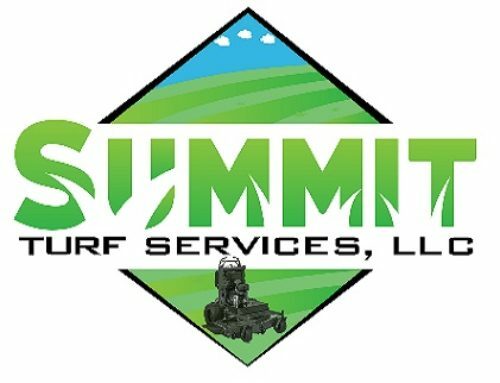 For the best Lees Summit Lawn Care, Contact Us Today!